Wreaths Across America partners with like-minded organizations that share common missions and goals to build awareness for the service and sacrifice of our men and women in uniform, and that of their families. Through collaborative outreach on both the local and national levels, Wreaths Across America and its Partners are expanding the network of supporters, volunteers and donors while helping other organizations do the same. See below for a list of our current Organization Partners. 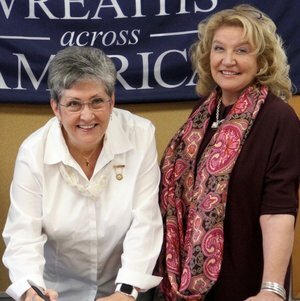 Pictured at the signing is (L-R) Candy Martin, National President, AGSM; and Karen Worcester, WAA Executive Director. AGSM is an organization of mothers who have lost a son or daughter in the service of our country. 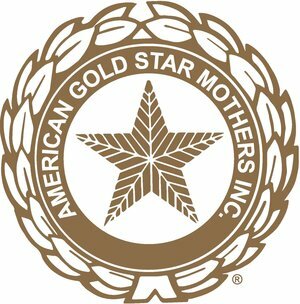 A Veterans Service Organization, established in 1928 and chartered by the United States Congress in 1984, American Gold Star Mothers continue to honor our sons and daughters through service — service to veterans and patriotic events. The bond between Wreaths Across America and American Gold Star Mothers, Inc. is long-standing as both national nonprofit organizations understand no one should ever be forgotten for their service and sacrifice. On Oct. 20, 2016, at the Wreaths Across America Headquarters in Columbia Falls, Maine, the partnership was formalized in a memorandum of understanding (MOU) agreement signed by Wreaths Across America Executive Director Karen Worcester and President of the American Gold Star Mothers, Inc., Candy Martin. The signed memorandum of understanding between the two groups outlines nine key agreements, such as the establishment of a steering committee with a representative from each organization, collaborative volunteer efforts and development of a partnership page on WAA’s website. 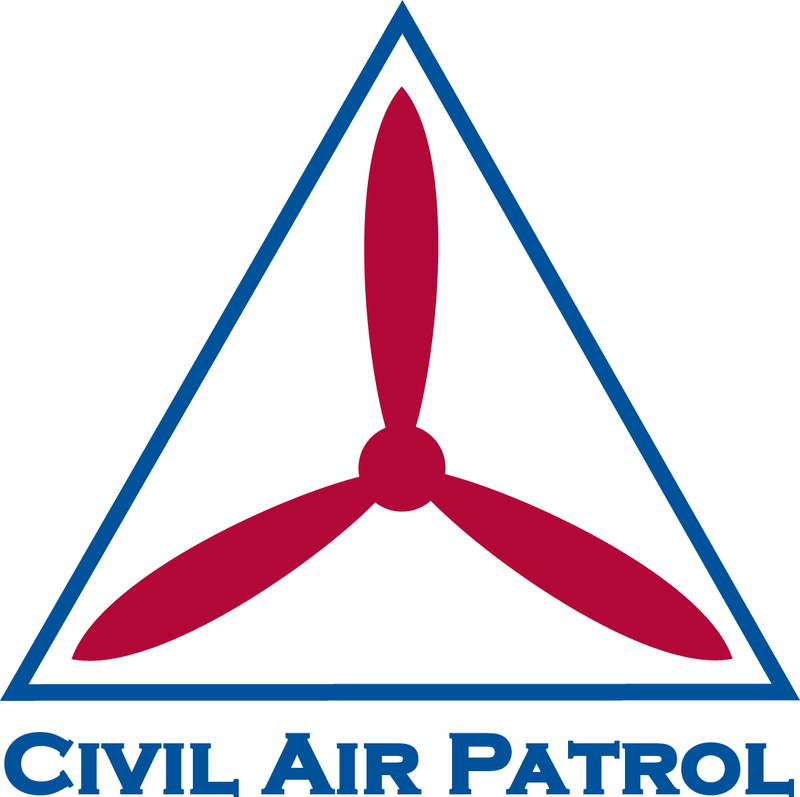 As a Total Force partner and Auxiliary of the U.S. Air Force, Civil Air Patrol is there to search for and find the lost, provide comfort in times of disaster and work to keep the homeland safe. Its 60,000 members selflessly devote their time, energy and expertise toward the well-being of their communities, while also promoting aviation and related fields through aerospace/STEM education and helping shape future leaders throughCAP’s cadet program.Civil Air Patrol’s missions for America are many, and today’s adults and cadets perform their duties with the same vigilance as its founding members — preservingCAP’s 75-year legacy of service while maintaining its commitment to nearly 1,500 communities nationwide. 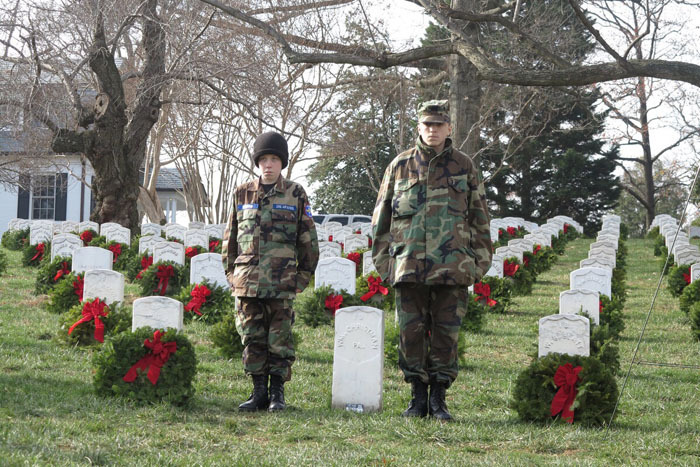 As one of Wreaths Across America's first partners, CAP has been actively fundraising for the program since 2006. In fact, two CAP volunteers in Maine were the ones who first recognized the potential to expand what was then a small program begun by the Worcester Wreath Company by tapping into the thousands of service-minded CAP members across America. More and more participate every year — obtaining wreath sponsorships from the public, laying wreaths and conducting ceremonies to mark the day with pomp, circumstance and patriotism. Truckload of Respect is an outreach project conducted and managed by the Truckload Carriers Association (TCA) to ensure that every remembrance wreath donated for placement on a veteran's grave as part of the Wreaths Across America project is delivered to its destination without cost to the charity or the cemetery. 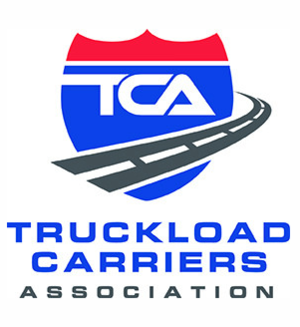 TCA works through its member companies and the trucking industry to secure volunteer commitments to haul every load of wreaths, and also coordinates the dispatch/delivery logistics for Wreaths Across America. Working together in 2015, Wreaths Across America and Truckload of Respect met the challenge of placing wreaths on every grave in Arlington National Cemetery—more than 245,000 wreaths. Beyond Arlington, Truckload of Respect delivered 901,000 wreaths to 1,108 cemetery locations across the country. While they are separate and independent entities, Wreaths Across America and TCA's Truckload of Respect program work together toward the common goal of honoring our fallen military veterans during the holiday season. 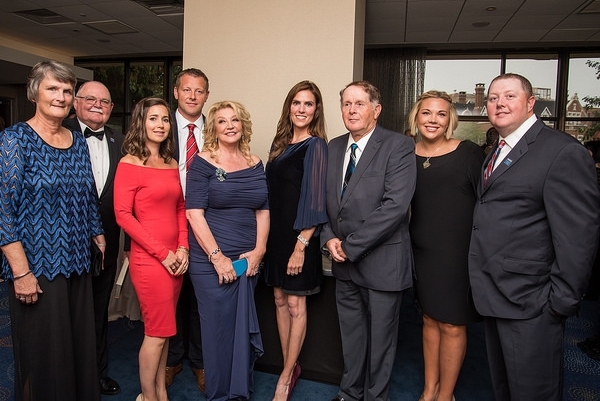 Since first meeting the Worcester family and the Wreaths Across America (WAA) team last fall, Taya Kyle, Founder and Executive Director of Chris Kyle Frog Foundation (CKFF), was impressed with WAA’s "ripple effect of kindness". It quickly became apparent that both national nonprofits shared the same patriotic mission of honoring and respecting our military veterans and their families. Taya is shown with Karen Worcester, Executive Director-WAA, to her right and Morrill Worcester, Founder of WAA, to her left. Others include (L to R): Ann Hanson, WAA Board; Wayne Hanson-WAA Board Chair; Sarah & Rob Worcester and Renee and Mike Worcester. Taya Kyle is the widow of Chris Kyle, author of the 2012 New York Times bestseller, American Sniper, which inspired the 2014 movie. She understands the pressure associated with the danger and stress faced by our military, veteran and first responder professionals. In her book, American Wife, Taya shares insights about supporting military families. Even though Morrill Worcester didn’t serve in the military, his original donation of 5,000 wreaths for veteran graves at Arlington National Cemetery in 1992 has grown to a national movement. For the 25th anniversary in 2016, more than 1.2 Million wreaths were placed at 1,228 locations, with the help of over 800,000 patriotic volunteers. Chris’ headstone wasn’t placed until May 2016. However, Taya was aware of WAA’s efforts in Texas because she had agreed to present the WAA Ceremonial Wreath at the Austin State Capitol on Monday, December 12, 2016. WAA arranged for a private wreath placement at Chris’ grave for Taya and the children after the ceremony. You “DO GOOD TWICE” when you sponsor a wreath to placed on a veteran’s grave, through CKFF, at WAA’s webpage for CKFF (#TX0441P). Through the CKFF/WAA partnership, $5 is returned to CKFF for support of their military and first responder marriage and family programs; for more details, visit www.chriskylefrogfoundation.org. In addition to where Chris rests at Texas State Cemetery, wreaths may be sponsored at over 1,200 WAA locations nationwide. Taya knows how much it means to surviving families to have a wreath placed on their loved one’s final resting place. Your donation is truly the “ripple effect” of kindness that she describes…thank you!